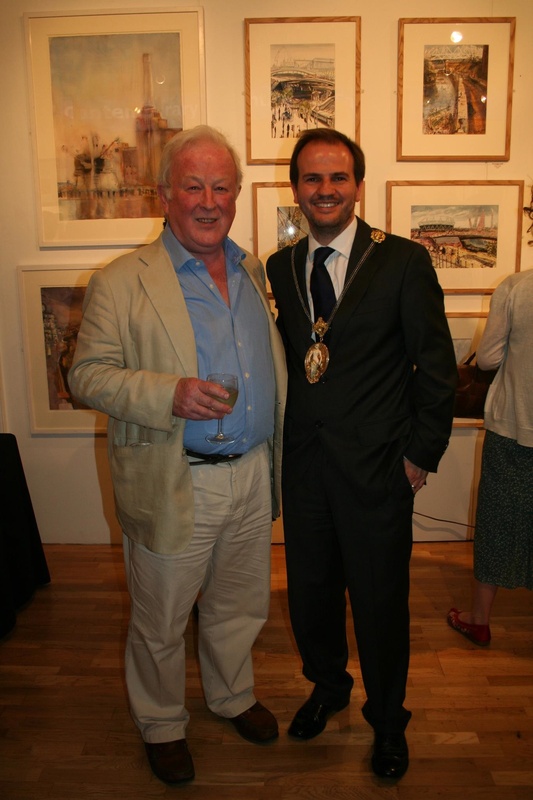 Huon Mallilieu and PRWS Thomas Plunkett at the Private View of the Royal Watercolour Society’s latest exhibition ‘Picturing Britain 2012’. The exhibition at the Bankside Gallery, 48 Hopton Street, SE1 9JH is open 11 – 7 every day until 12 August. It is packed with a wide variety of colourful and affordable works on paper by the Members of the prestigious RWS. Admission free. We are easy to find – on the South Bank of the Thames, between Tate Modern and the new Blackfriars Station. The Founders Arms a very nice pub serving delicious food is almost in front of the Gallery. Do come and visit us soon. This entry was posted in A day out, Art, Painting, Royal Watercolour Society and tagged affordable, art, Jubilee, London 2012, Olympics, privateview, work on paper. Bookmark the permalink.